Pick One Of Four Takes On Harmony. 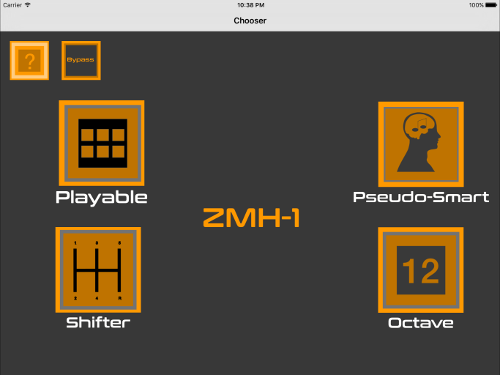 ZMH-1 Allows You One Harmony Type At A Time: Playable, Pseudo-Smart, Shifter, and Octave. 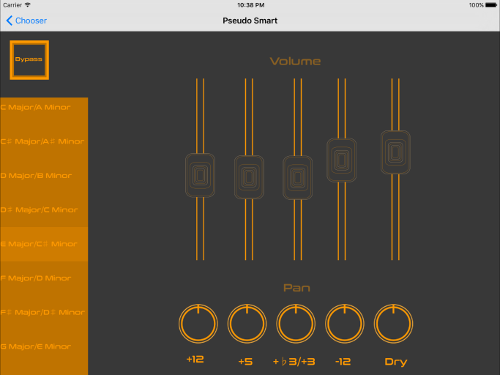 Play-Able Harmonizer Play With Your Voice. 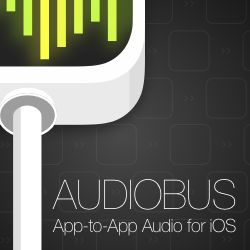 Play With Your Voice Like A Video Game. 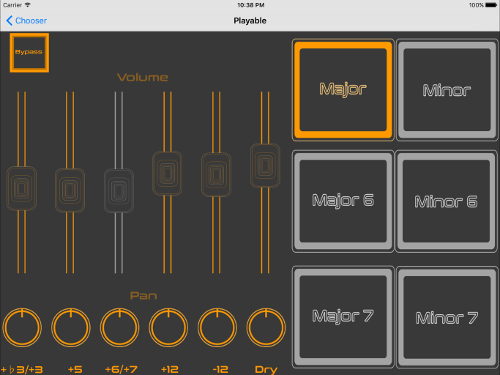 Control Pads For Major, Major6, Major7, minor, minor6, minor7--Each Harmony Voice Seperately Mixable, For Real-Time Tweaking! Tweak It To The Harmony Mix In Your Head. Fully Customizable. Maybe Part Nerd, Part Ditz. You Must Choose From A Major Or Minor Chord To Get Your Voice Or Instrument Analyzed. 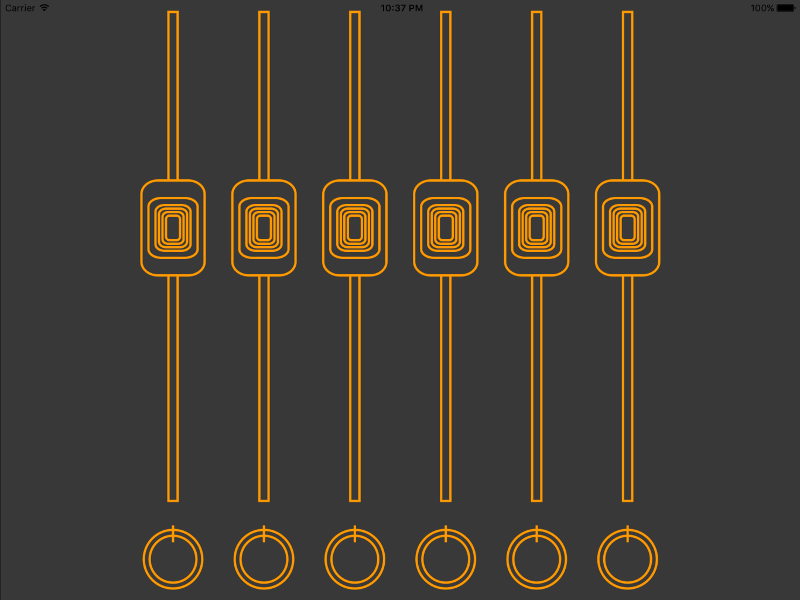 Based On The Pitch Received, An Appropriate Chord Harmonizes With Your Signal. Tends To Work Best On Longer, More Sustained Notes. Shifter Make Two From One, With Controllable Pitch. 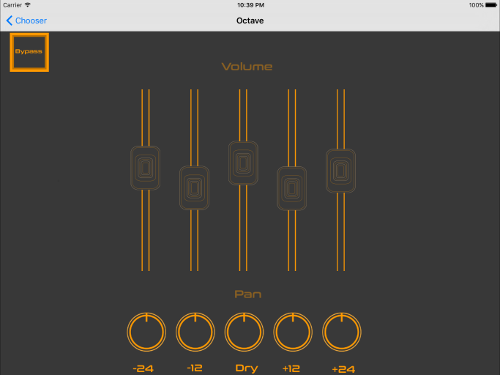 Two-Part Harmony--One Pitch Shifted Signal And A Mixable Dry Signal.16 Intervals And Ranges To Choose From. 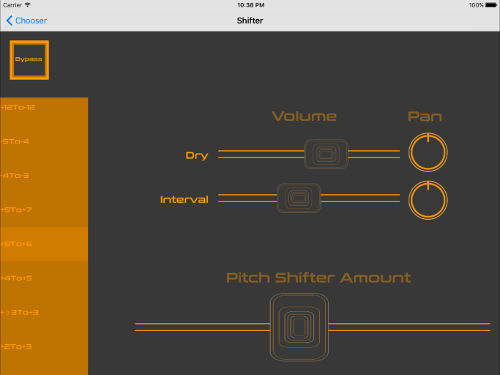 Pitch Shifting Controllable From Shifter Slider, For Real-Time Playing. Dead Simple. Thicken Up That Sound! Sounds Killer On Guitar And Bass! Octave Up Signal, Two Octaves Up, Octave Down Signal, Two Octaves Down, Dry Signal. Mixable. Go Big. Huge.